What to do about Eskom, is the 64 thousand dollar question? This should actually read the 640 billion rand question – that will be Eskom’s debt in just three years, at current projections. 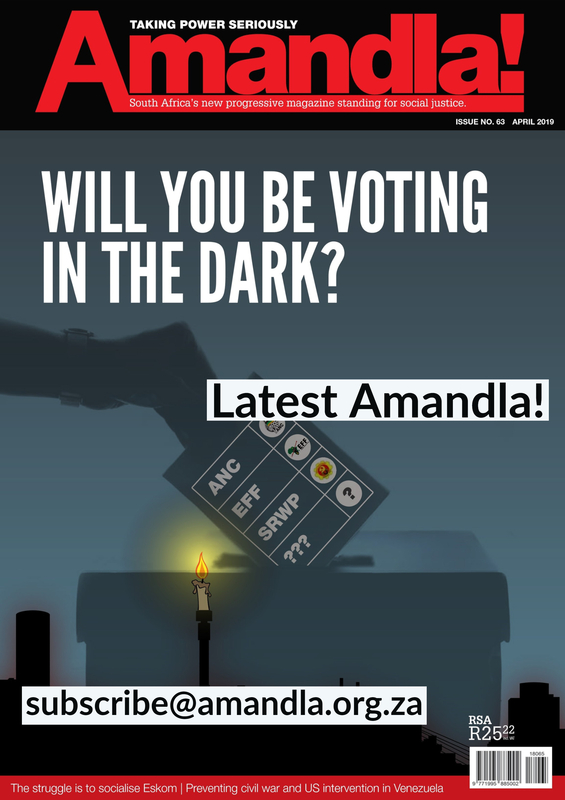 Load shedding, Eskom’s extreme financial crisis, total mismanagement, corruption, state capture and cronyism as well as its addiction to coal have led many to throw-up their arms and give up on Eskom. The coal-dependent electricity sector is responsible for almost 60% of total greenhouse gas emissions. South Africa has become, per capita, one of the most carbon intensive polluters in the world. In spite of the relatively small economy, SA’s emission profile is at a similar level to Germany or Britain. 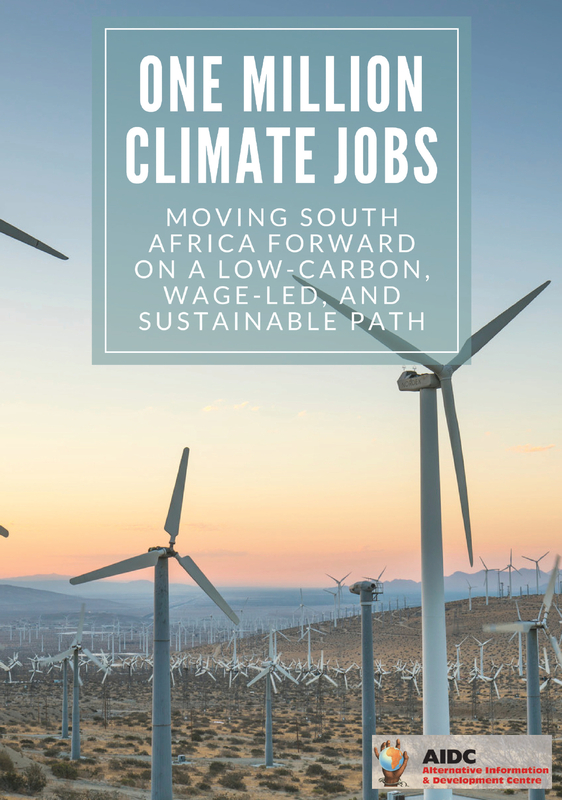 So, when considering what to do with Eskom, we cannot ignore the problem of climate change. Only the extremely ignorant and callous could suggest this is not a key issue when our neighbours are suffering the worst climate change disaster ever to be inflicted on the Southern Hemisphere. Thousands of people have been killed and tens of thousands are still on roofs and in trees, without food or water, desperately hoping that help will arrive in time. 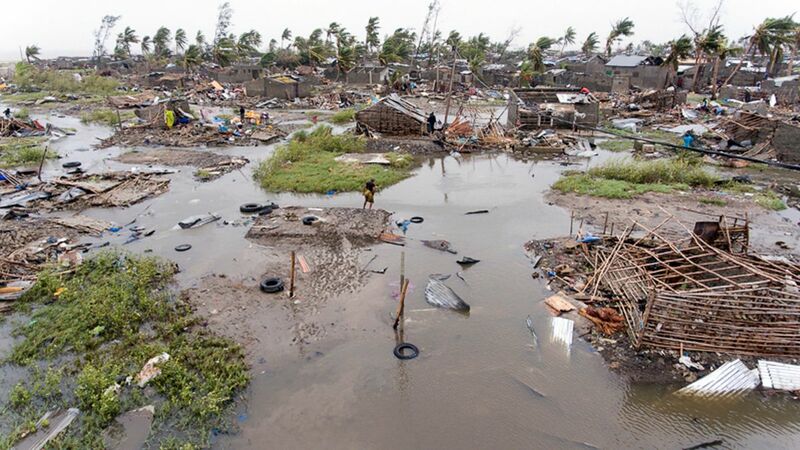 The city of Beira in Mozambique, where more than half a million lived, is destroyed. In August, in the Southern Indian State of Kerala, 483 people died and one million were displaced in devastating floods. In October, when Hurricane Michael made landfall on the North Florida coast, it was the third strongest hurricane in US history, edging out Hurricane Katrina which devastated New Orleans in 2005. In November, the ironically named town of “Paradise”, home to 27,000 people, disappeared in the deadliest fire in California’s history. 86 people died. In South Africa, some parts of the country are still suffering one of the longest and severest droughts experienced. The taps have even run dry in several Eastern Cape towns. And of course it is the working classes and the poor who are at climate change’s coal-face. They live under the most vulnerable conditions and are least capable of adapting to its impact. People living in informal settlements and in low lying areas with poor housing are at extreme risk from floods and severe storms. And during periods of drought, access to water becomes even more precarious. Dependence on complimentary forms of livelihoods (food gardens, subsistence farming etc.) collapse. Yet, we remain largely in denial. Media reports fail to link these disasters with climate change. But they are the outcome of global warming, of pumping millions of tons of greenhouse gases into the atmosphere. And as the earth warms, the intensity and frequency of these weather events will get worse. According to the UN Intergovernmental Panel on Climate Change (IPCC) recent report, it is critical to do everything in our collective power to limit global warming to just 1.5 degrees centigrade, to avoid unprecedented disasters of nature. The report finds that limiting global warming to 1.5°C would require “rapid and far-reaching” transitions in land, energy, industry, buildings, transport, and cities. Global net human-caused emissions of carbon dioxide (CO2) would need to fall by about 45 percent from 2010 levels by 2030, reaching “net zero” around 2050. To do this will entail massive government investment and the planned reallocation of resources locally, nationally, and globally. Only the special circumstances of the First and Second World Wars have seen such a huge and rapid outpouring of public investment and planning. It is generally inconsistent with capitalism. It is certainly in direct contradiction with neoliberalism, especially if public investment is financed, as seems necessary, by taxing the profits of fossil fuel capital and the big banks. It will also mean a severe loss of value of the billions of dollars of investment in oil, gas, coal and other minerals. Capitalists have shown no sign of willingly agreeing to forfeit trillions of dollars of future earnings by leaving the vast majority of proven fossil fuel (coal, oil and gas) reserves in the ground. The key message has become to look after your own country and exploit your fossil fuel resources more intensely than ever before. How much more devastation must there be? How many more people must die? Our government pays lip-service to climate change. While recognising the carbon intensity of our economy, it is intent on rebuilding the Minerals Energy Complex. 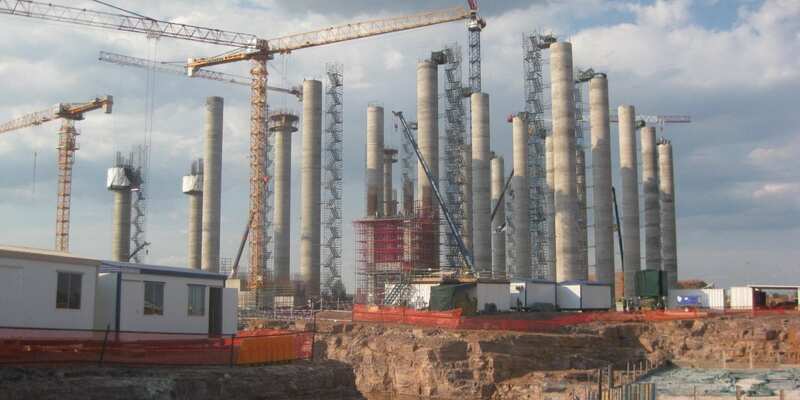 It is searching for foreign investment in mining and more coal fired electricity plants. For the government, this equals economic growth and rising GDP, which in turn, means greater foreign investor and business confidence, more state revenue, declining debt levels, less pressure from the credit rating agencies and more scope for empowerment deals. According to the government’s commitment to combating climate change, it sees in the short term an increase in the carbon intensity of the economy. Emissions are only scheduled to start reducing after 2035. Yet it is not just government and the media that are effectively in denial of climate change. The labour movement, which should be at the forefront of climate change, seems paralysed. It is proving unable to provide the lead in the militant struggle that must be waged against capitalism if we are to halt global warming. Take the Eskom crisis. The labour movement has correctly opposed the unbundling of Eskom. They point out that this is probably the first step towards privatisation, massive job losses and increased electricity tariffs. However, they are silent on the urgent need to fight climate change and to take steps to decarbonise the electricity sector and transition to a low carbon economy. This is unfortunate. It robs the labour movement of a powerful tool in building an anti-capitalist consciousness. Capital and the state are constrained by their need to defend profit, so they will not undertake the massive investments necessary. Without raising the issue of climate change, the few occasions when they talk of the need for socially owned renewable energy and for a just transition sound hollow. They look like a fig leaf for the defence of coal and coal-based industrialisation. The labour movement is correct to critique and oppose the privatised independent power producer renewable energy programme. But it must support unequivocally a just transition based on socially owned renewable energy. It is not enough to talk in abstract terms of an energy mix. Such a just transition would entail the planned phase out of coal-fired power stations and the protection of the affected workers and communities. We currently have a good example of how not to do it. The failure to plan for the decline of gold mining has created ghost towns. It is mineworkers who have been made to bear the cost through their unemployment. Clear demands must be refined around reskilling, no job losses, guarantees of state-supported income for displaced workers, economic support for communities affected by mine and power station closures etc. Equally, the unions must develop a strategic approach to demands around ownership and control of the generation of renewable energy. With social ownership, renewables could be developed as a public good. In contrast to the IPP approach, they could be deployed in a way that does not undermine the entire public service model of electricity provision. A cooperative relationship between different forms of energy is essential. It will allow South Africa to plan its transition, based on social and ecological need. Only a socially owned system can ensure a just energy transition.